Minneapolis is home to the only inhabited island on the Mississippi River: Nicollet Island. Whether you spend your Minneapolis wedding photography session exploring the island’s residential area or jaunting through the park with your bridal party, Nicollet Island is a prime setting to create beautiful pictures for your album. To get over to the island, cross the Merriam Street Bridge and catch a glimpse of the intricate ironwork that went into the bridge design. Stop on the bridge for some pretty group shots if the traffic is slow enough, you can even try to frame the group across the four square frames that the design creates. On the north side of the island, you and your wedding party can check out the dainty Victorian houses with their traditional picket fences and quant architectural details. Choose a few favorites and have the bridal couple pose in front of some, with the groom scooping the bride up in his arms or just a few sweet (and very Victorian) pecks on the cheek. Next, you can all head to the sprawling green park lands of Nicollet Island Park. Stroll through the garden together, or skip down some of the walking paths while your Minneapolis wedding photographer captures all of the whirling activity. Surrounded by the mighty Mississippi, you can walk along the shoreline to get some beautiful waterfront shots as well. Use the Minneapolis skyline as a backdrop for an urban vibe, or avoid the skyline and your pictures will have a pristine, natural feel. Visit the Bell of Two Friends, a gorgeous mold of a bell that was gifted to the city of Minneapolis from Ibaraki, Japan. The bell is symbolic of international cooperation and friendship, making it a great backdrop for your final few wedding pictures. Overall, the park and the island both offer surprisingly romantic and wonderfully scenic photographic opportunities, right in the heart of Minneapolis. If you and your wedding party have time to kill between the ceremony and reception, or before the ceremony begins, let the Saint Anthony Falls Heritage Trail create your Minneapolis wedding photography itinerary. The walking trail twists around some of the city’s most charming sites, all of which make for fabulous wedding photo backdrops. Start on Hennepin Avenue Bridge, a beautiful stone suspension bridge, which can take you and your wedding party from Nicollet Island to First Bridge Park. Get some shots of the bridal couple crossing the bridge, which can be symbolic of their crossing from single life to marriage. At First Bridge Park, explore the history and take some snapshots of the whole group against the park’s green lawn. Follow the trail down to Mill Ruins Park, which houses the remains of some of the area’s former mills and industrial buildings, along with some old stone piers that were once used in shipping. The ruins provide an interesting look at the history of Minneapolis. Wedding photography in Mill Ruins Park can prove a stunning contrast of the fancy dresses and newlywed relationship against a backdrop of antiquated industry and dilapidated buildings. Move on to St. Anthony Falls, which was the only major natural waterfall on the Upper Mississippi. After the falls’ partial collapse, the city created locks and dams to enable boats to navigate upstream. The area is still quite beautiful, and makes a lovely aquatic background for your Minneapolis wedding photography. Be sure to get the old Stone Arch Bridge in some of your pictures before you walk across; its perfect, graceful arches will be a nice complement to your elegant garments. Finally, cross the bridge to a nice, calm park on the opposite side. You will step off of the bridge into Father Hennepin Bluffs Park, a pristine patch of green with excellent views of the city skyline. You and your party can wander around, discovering new views to use as panoramic backdrops. For groups that don’t have plenty of time at their disposal, try doing a shortened version of the trail and incorporating only the sites that interest your group. However you choose to plan it, though, the trail will provide plenty of memorable moments and great scenery for your Minneapolis wedding photography session. 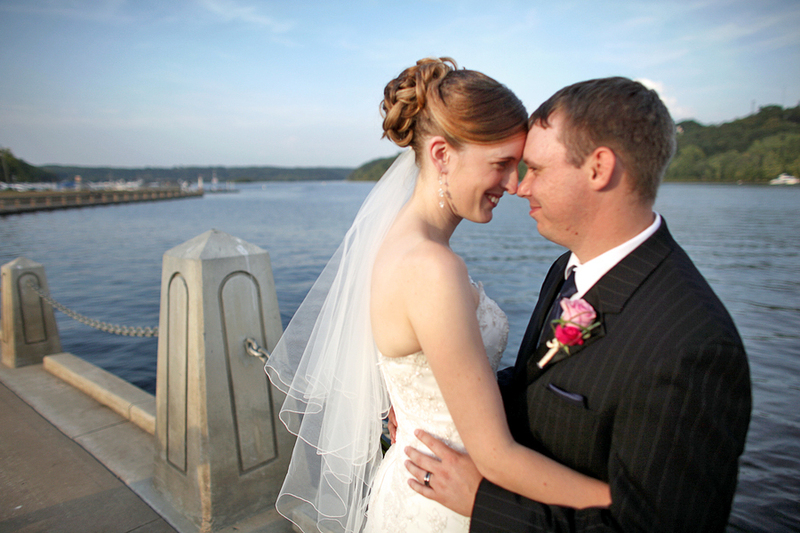 Off of 8th Avenue, around the Plymouth Avenue Bridge, lies Boom Island Park, a beautiful waterfront park that is understandably popular for weddings. You don’t have to get married here, though, to incorporate the park’s scenic landscape into your Minneapolis wedding photography. Have your limo driver take you and your wedding party down to this park and have fun exploring and finding gorgeous spots for pictures. Your photographer can snap shots of you and your crew in front of the picturesque lighthouse that used to help sailors steer their way along the Mississippi. Get some candid pictures of you and your beau walking alongside the river or checking out the marina. 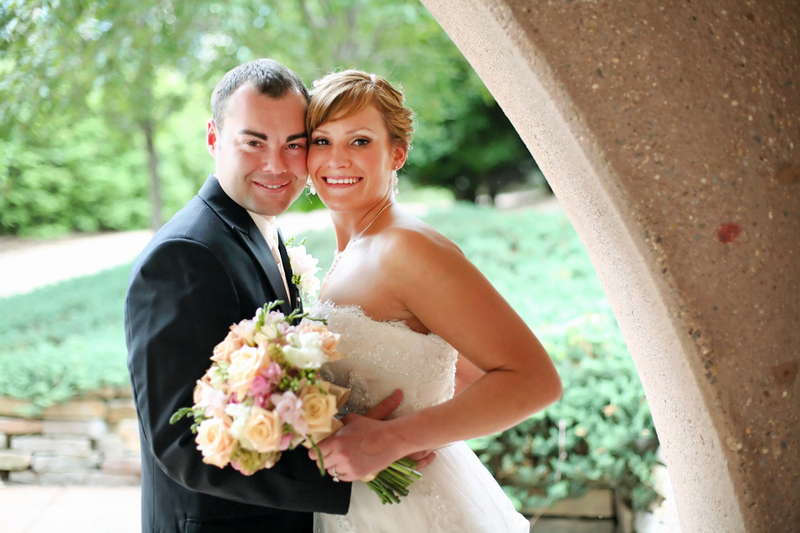 Your next stop for Minneapolis wedding photography is the adjacent B.F. Nelson Park. This park is largely green space, which is a simple yet elegant backdrop that will help show off the details of your gown and your groom’s tux. You and your party can head to the pedestrian bridge between Boom Island Park and Nicollet Island for some over-water shots to finish out your shoot. Have everyone in your group hold hands while crossing the bridge and the photographer can get some fun pictures of your group from the front and from the back. These two parks, nestled almost on top of each other, provide ample beauty and greenery for your photographer to create a stunning album full of love, friends, and memories.